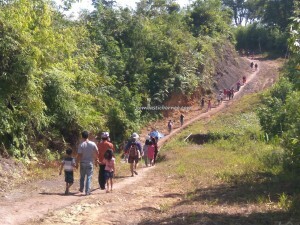 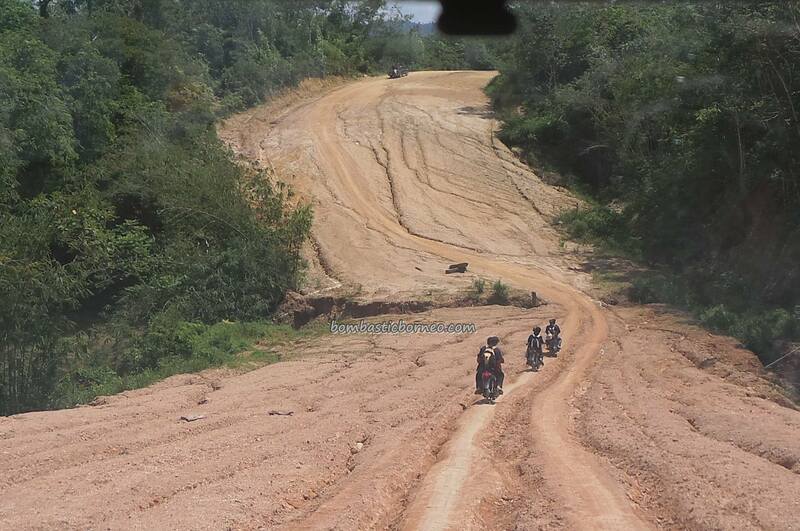 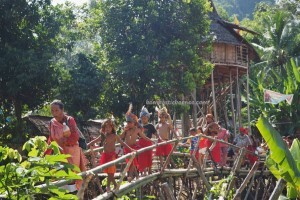 Location : Dusun Betung, Desa Tangguh, Kecamatan Siding, Kabupaten Bengkayang, Kalimantan Barat, Indonesia. 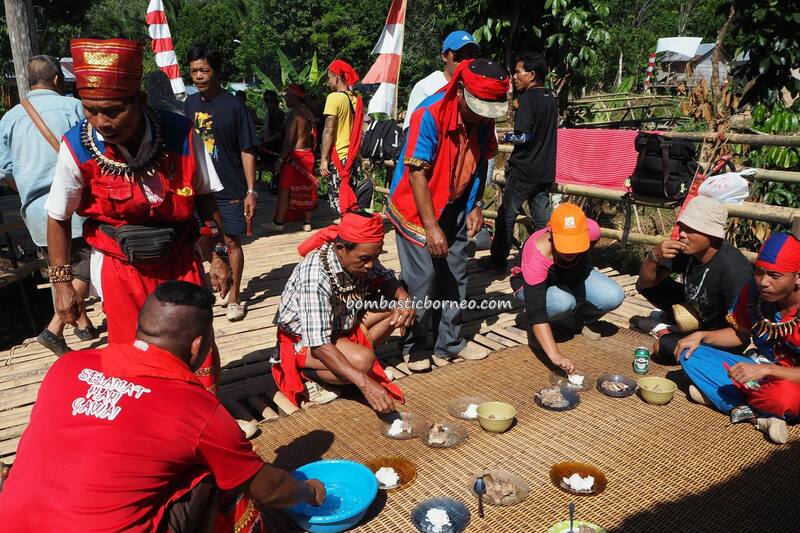 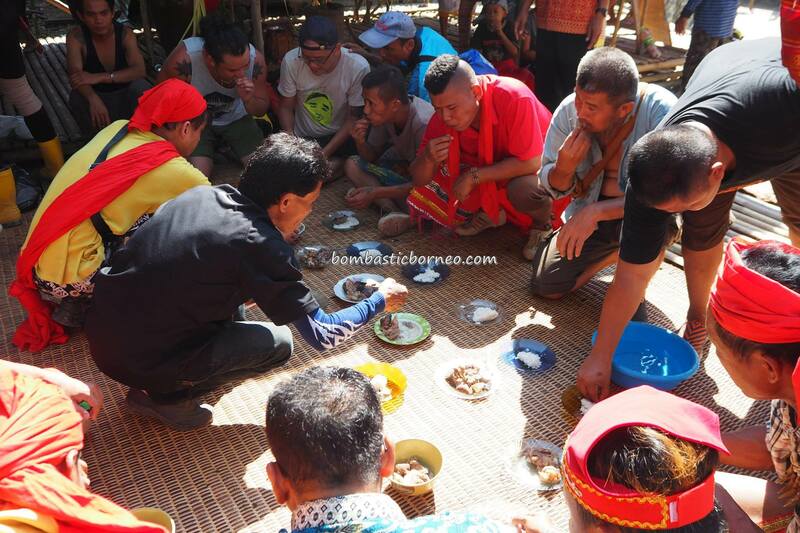 The third and final day marked the end of the celebration with a dance and breakfast served below the baruk before the Gumbang guests made their way back, marking the first goodbye. 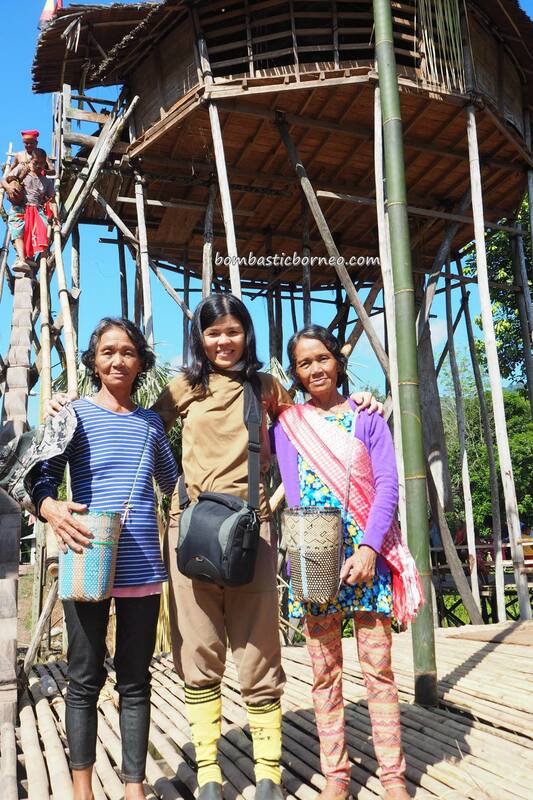 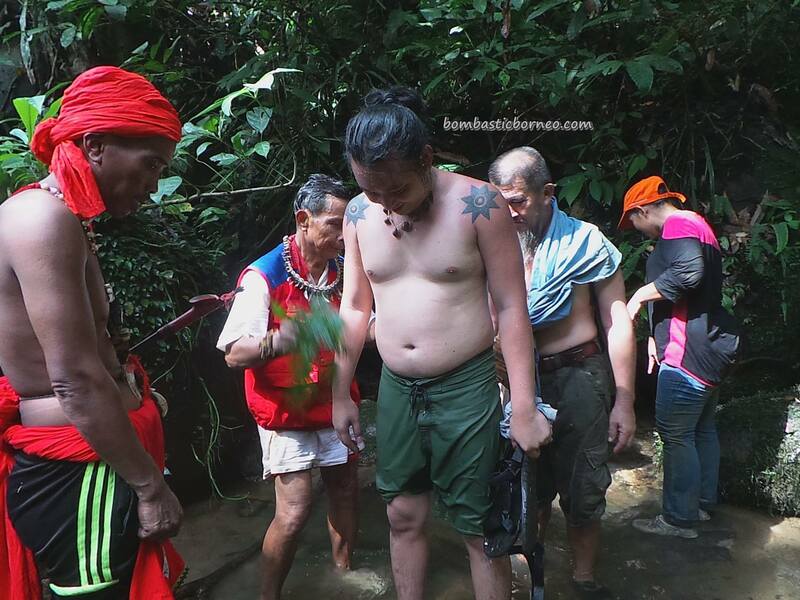 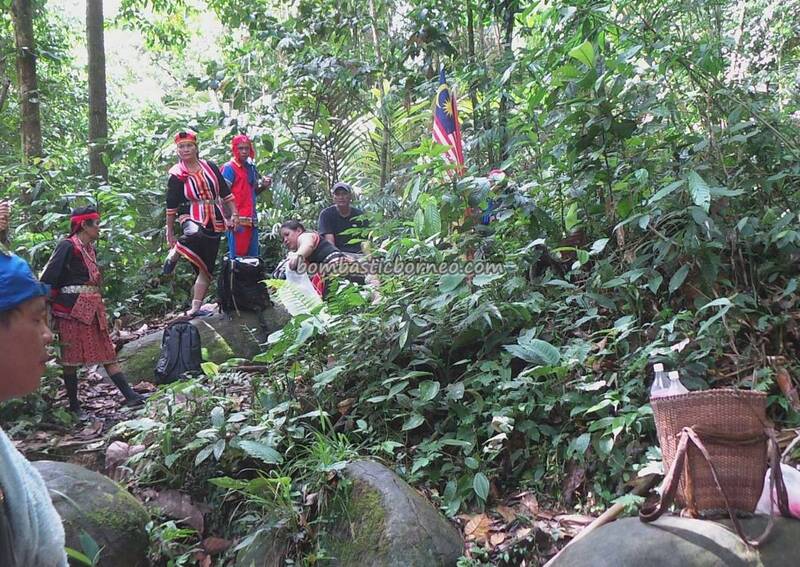 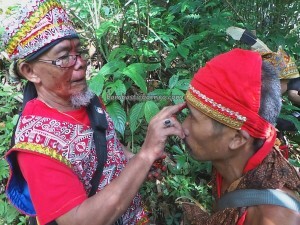 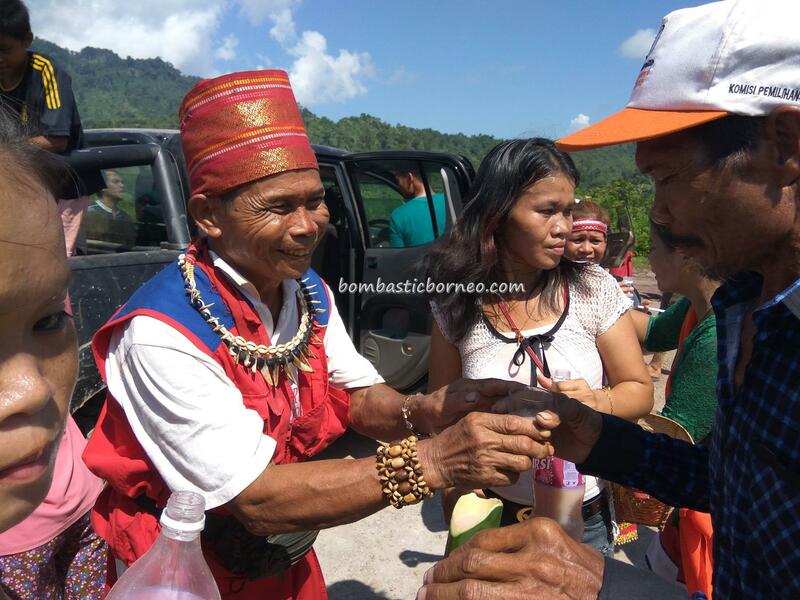 Saying goodbye usually goes a long way in the traditional Bidayuh style. 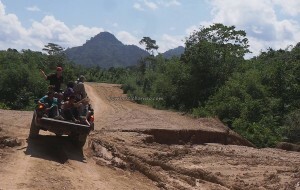 It usually starts from the doorway and ends up a few kilometers down the road. 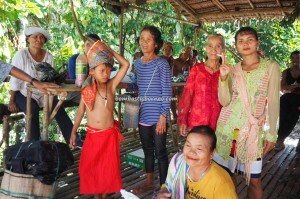 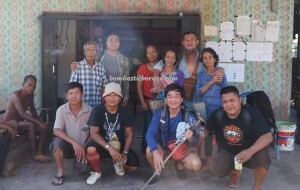 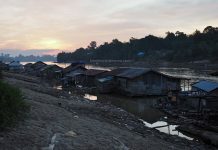 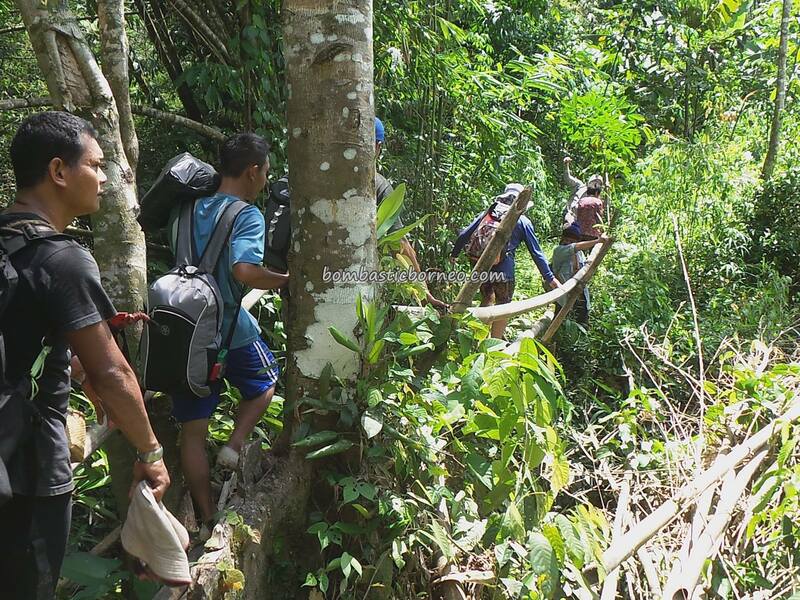 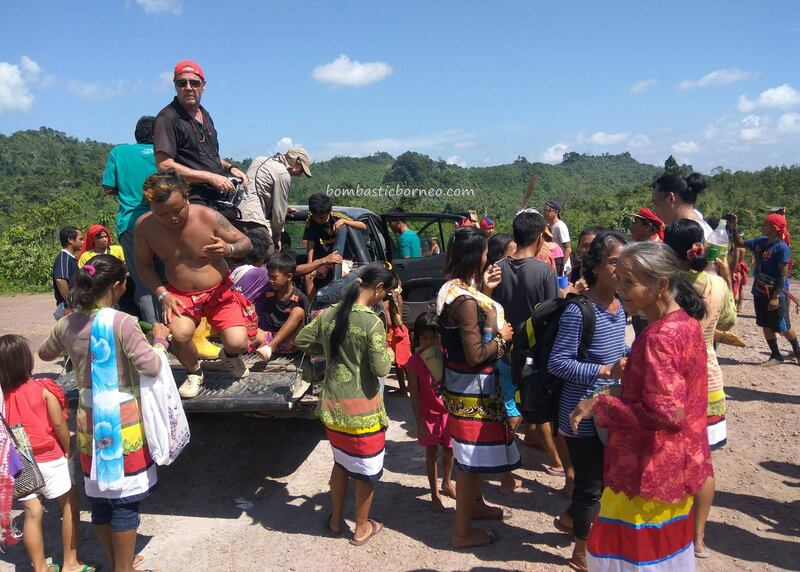 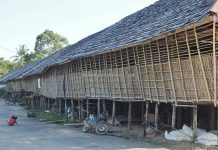 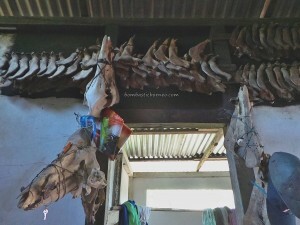 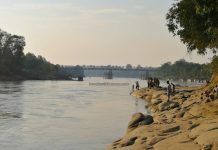 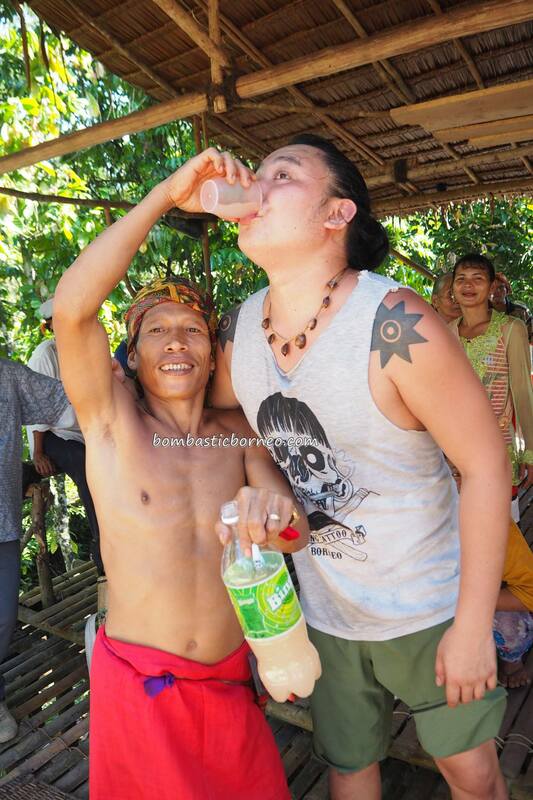 This time it was no different as more Kadek hosts accompanied the guests up to the welcoming spot where 2 double cabins were waiting to drive us to the trailhead bottles of tuak in hand as if to offload whatever remaining stock onto their departing friends. 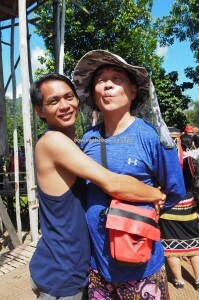 Very tricky affair if you are a newcomer. The second goodbye was a lot noisier and longer than expected. 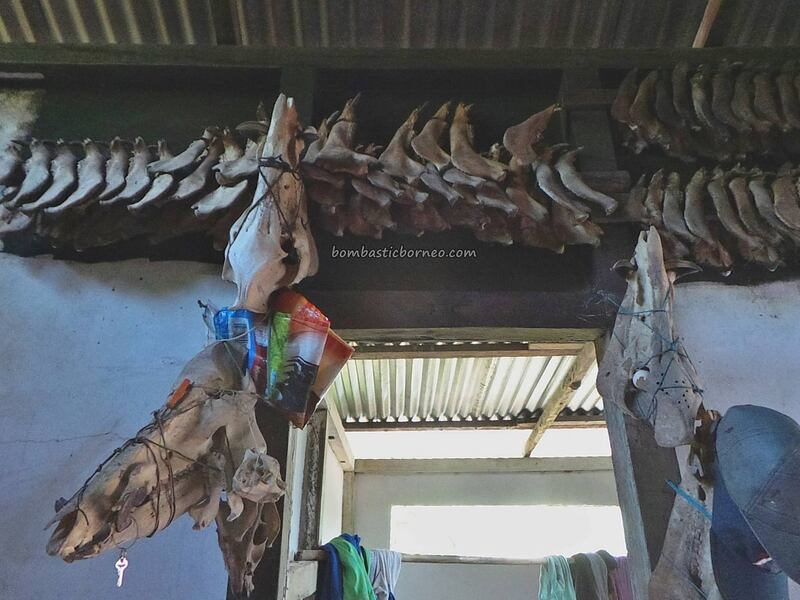 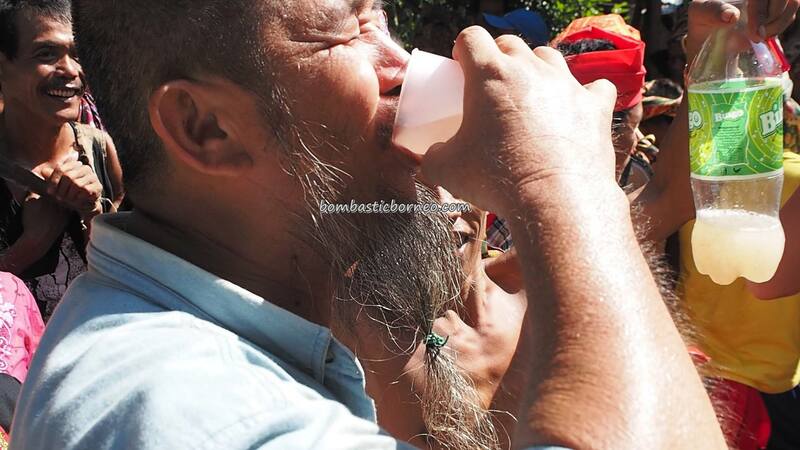 By then most would have felt the kick of the tuak and quickly hoped onto the waiting trucks to escape. 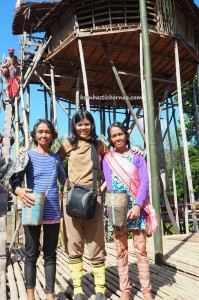 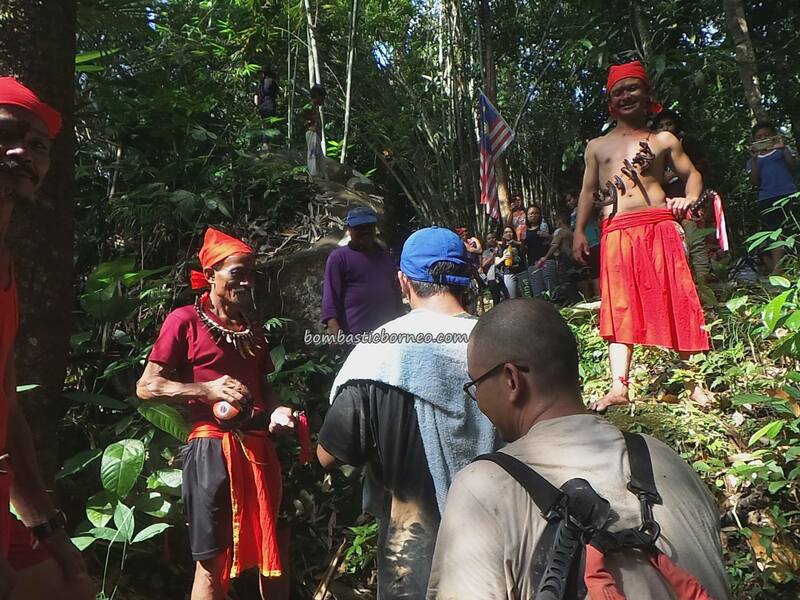 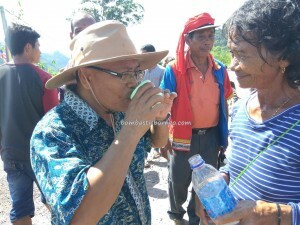 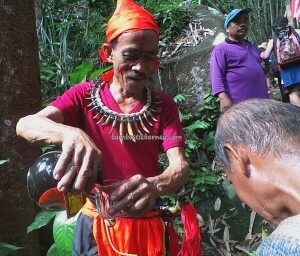 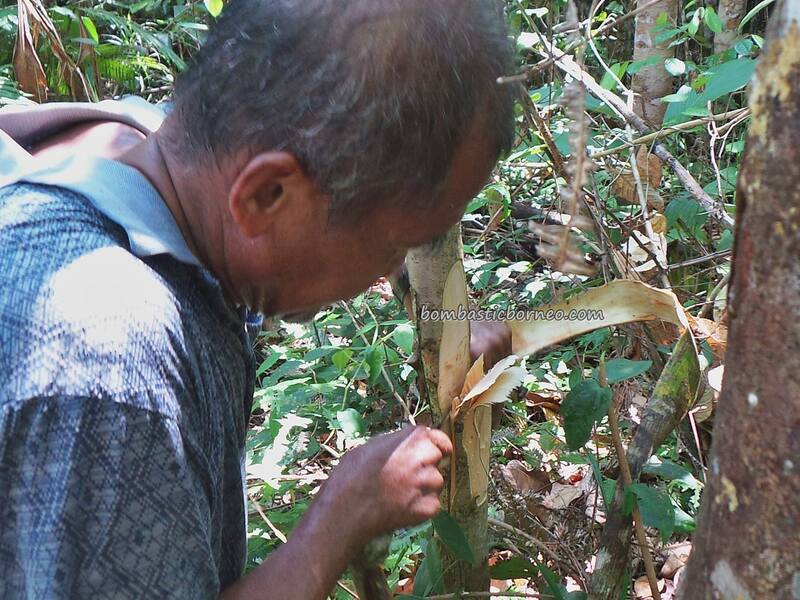 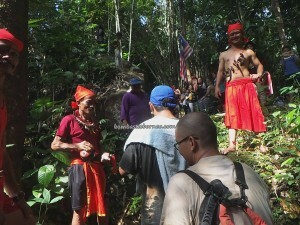 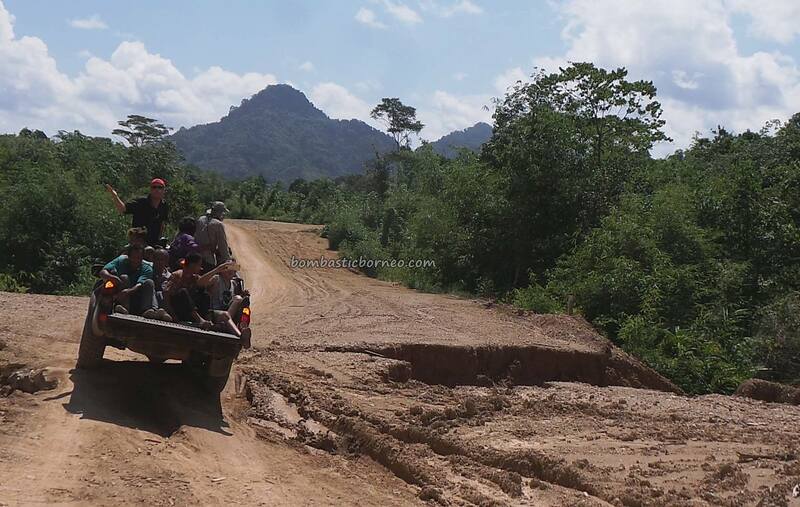 Upon arriving at the jungle, another round of tuak was insisted by the truck drivers. 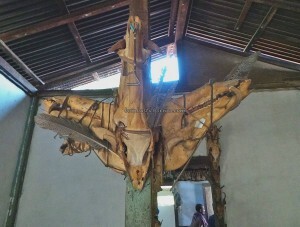 When they finally felt we had enough of the ‘punishment’, they let us off and we bade our third and final farewell. 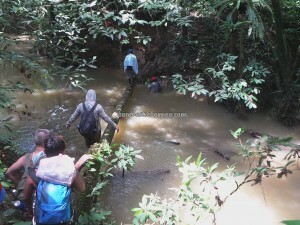 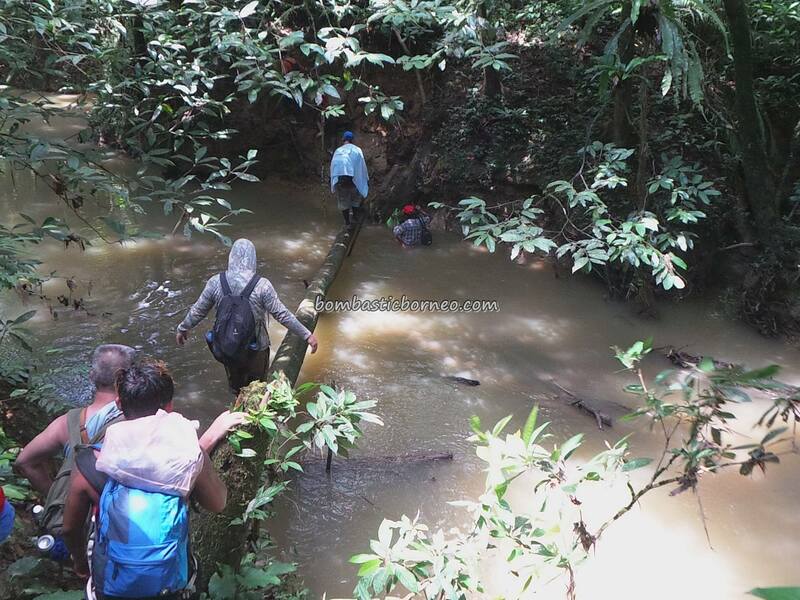 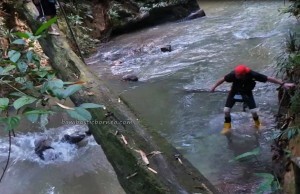 Despite the amount of alcohol in our system all of us did pretty well on the hike home sometimes balancing like expert tightrope walkers across slippery tree trunk bridges…..except for one casualty whose fall into the river was caught on video! 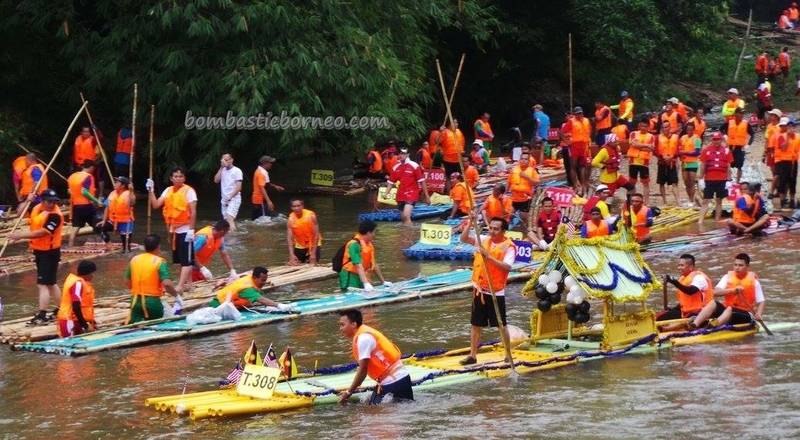 A fun and memorable Gawai 2017. 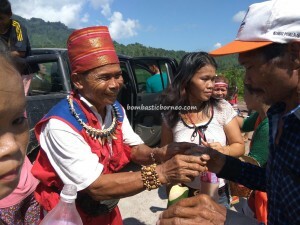 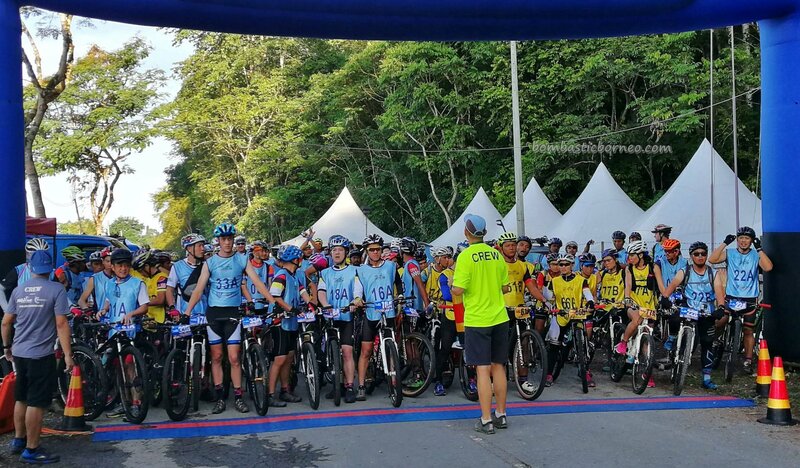 We would like to thank KK Atok and Kampung Gumbang for giving us yet another opportunity to be a part of their transborder celebration with their Indonesian brothers. 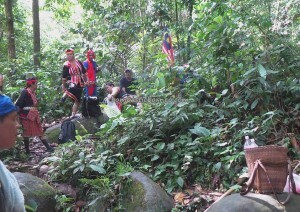 Thank you Kampung Kadek & Kepala Dusun Pak Sog. We look forward to the next one to maybe Anep in Sungkung?